Hunt is still suspended indefinitely as he goes back on the commissioner's exempt list until the NFL decides on discipline. 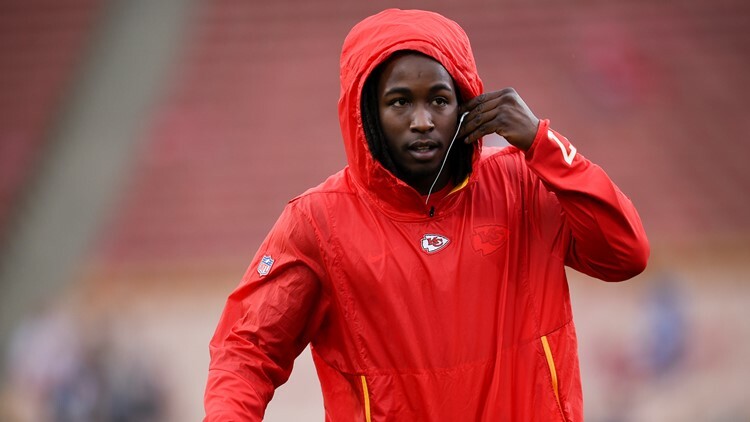 CLEVELAND — The Cleveland Browns have signed former Kansas City Chiefs running back Kareem Hunt two months after the Chiefs cut him following the release of a Cleveland hotel's surveillance footage that showed Hunt kicking a woman. Hunt is suspended indefinitely by the NFL. Now that he has been signed by a team, he goes on to the commissioner's exempt list until the league makes a decision on discipline. Charges were not filed against Hunt in the incident. But the Chiefs released him because the team said he was not truthful with them about what happened. NFL Commissioner Roger Goodell said before the Super Bowl the league's investigation into Hunt should be done soon. The league is investigating three off-the-field incidents involving Hunt. Browns general manager John Dorsey was the GM in Kansas City in 2017 when the Chiefs drafted Hunt out of Toledo in the third round of the NFL Draft. "First off, I would like to once again apologize for my actions last year. What I did was wrong and inexcusable. That is not the man I was raised to be, and I've learned a great deal from that experience and certainly should have been more truthful about it after the fact. I'm extremely grateful that John Dorsey, Dee and Jimmy Haslam and the Cleveland Browns organization are granting me the opportunity to earn their trust and represent their organization in the best way possible on and off the field. I am committed to following the necessary steps to learn and to be a better and healthier person from this situation. I also understand the expectations that the Browns have clearly laid out and that I have to earn my way back to the NFL. I'm a work in progress as a person, but I'm committed to taking advantage of the support systems that I have in place to become the best and healthier version of myself."